Leo is the fifth sign of the zodiac. It is associated with the Fifth House, and is ruled by the Sun, ‘planet’ of self-expression and identity. Leos are proud, warm and generous. Browse the links below to learn more about Leo. Why is my Leo man ignoring me? Leo is most compatible with other fire signs (Aries, Sagittarius) and air signs (Gemini, Libra, Aquarius). 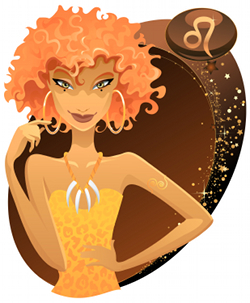 View the posts below to learn how Leo gets along with the other signs of the zodiac. How does a Leo gal keep an Aries man interested? How does the Leo girl win the heart of a Cancer? Are Leo and Aquarius compatible? Why is Leo attracted to Aquarius? Who does Pisces love more: Gemini or Leo?